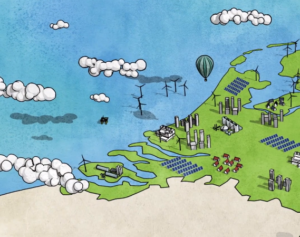 Due to its physical location, Amsterdam has always had to consider the threat of the sea and plan accordingly. While people usually find that Amsterdam has an “organic” feel, the city is in fact the result of 800 years of carefully thought and planned development. 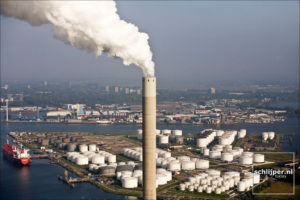 Starting with the construction of a dam on the Amstel River, to the 17th century Canal Belt, to man-made islands such as Java and Ijburg, Amsterdam’s nature is as much planned as it is organic. 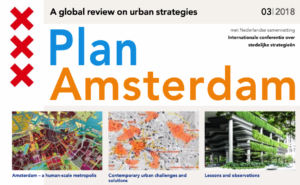 What makes this plan different from previous plans is the process by which it was developed, engaging diverse stakeholders more than ever before. A public campaign binnen30minuten (“within 30 minutes”) identified what citizens would like their city to look like by 2040. Then the Vrijstaat Amsterdam (“Free State of Amsterdam”) exhibition and public program engaged residents and visitors in a series of dialogues about the future of the city. Some of these planning sessions used unconventional engagement techniques. In some case, a diverse group of participants set the agenda and directed the discussion. The idea was to create a process that would allow students, politicians, entrepreneurs, the homeless, and others to create a shared vision, and not merely another plan dictated by technocrats. 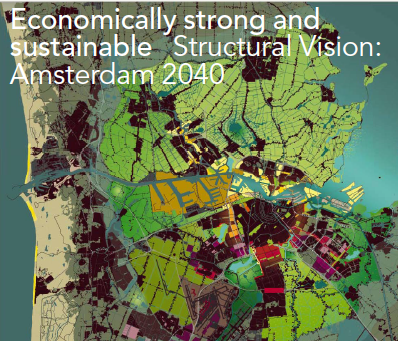 Structural Vision 2040 is proof that a city with a long history of planning can continue to innovate city making, where “bottom-up” planning is guided by “top-down” actors, to create a plan that will meet diverse needs and opinions. 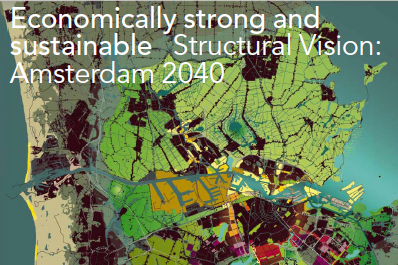 For additional information, visit Structural Vision Amsterdam 2040 website, or watch this short video describing the spatial planning evolution of Amsterdam. 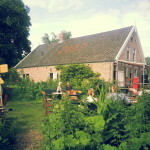 A special thanks to Koos van Zanen for his June 2014 presentation to the members of Sustainable Amsterdam group.